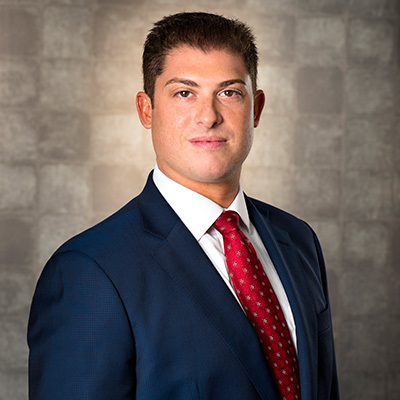 Mr. Sedacca has been practicing law since 2010 and over the years has worked on both sides of the courtroom. Prior to joining The Law Offices of Marc Neff, he began his career with the Philadelphia District Attorney’s Office. As an Assistant District Attorney, he handled thousands of cases in every aspect of the criminal justice process. In 2013, Mr. Sedacca chose to cross the aisle, bringing with him an in-depth understanding of the complex workings in the criminal justice system along with a reputation of being a tough, but fair, prosecutor. Having numerous family members as teachers, Mr. Sedacca has a deep understanding and passion when representing clients in the teaching profession. He has represented clients from variety of backgrounds and he treats each case with the same level of preparation and diligence. The firm, now known as Neff & Sedacca, is proud to have him as its newest partner. Mr. Sedacca is an active member of the legal community. He is admitted to practice law in both Pennsylvania and New Jersey. Mr. Sedecca received his Juris Doctor degree from Rutgers University School of Law (2010).